We thank Mike Forret of iConcept for the energy and time he has put into revitalising our website. The whole site have been updated and some sections have been reorganised. The Photos section of the site has been restructured and it will take some time to update all of the collections. We are always interested in adding to our collection of photos and other resources, so if you have any historic, interesting, informative, etc. photos or other material relating to the Tongariro River and its catchment that you would be prepared to share with us then we would be happy to hear from you. Contact us at advocates@tongariroriver.org.nz or here. 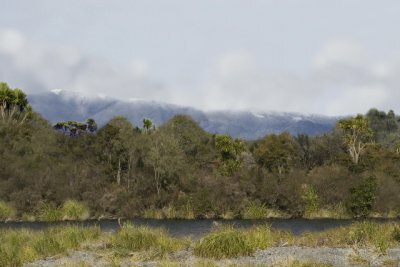 act as an electronic repository of resource materials on the Tongariro River Catchment. 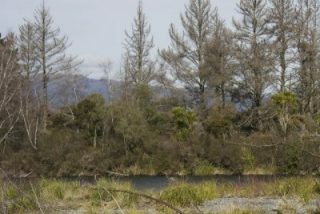 The Tongariro Integrated Catchment Management Plan remains our priority and it is pleasing to report that members of the Tongariro River Forum have met with the Turangitikua Environment Committee. while the second photo shows the unsightly dying trees. This third photo shows the margin without pines. There is a lot of work still to do to ensure that the seedlings along the river margin are controlled and not allowed in the future to again dominate the flora. 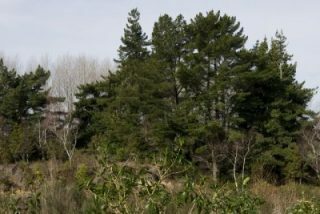 The issue of wilding pines is a national issue. One of the unforseen consequences of planting green gold is that the pine has spread outside the area of planting. In the last twelve months we have seen TV items on the problem in the Marlborough Sounds, the McKenzie Basin and within the last week efforts being put into the issue on the mountains surrounding Queenstown. In the last editorial we farewelled John Gibbs as fishery Manager. We wish to welcome Dave Lumley as Fishery Manager. Dave is well known to us as he was the manager of Turangi Taupo Department of Conservation interests. We understand that Dave’s appointment is a temporary position but he has our best wishes. Reports from the lake are of fish in good condition and better size than the last few years. Hopefully river fishing will be much improved as well. Easter is early April this year, our Annual meeting will be Sunday 4th April. We will advise more when plans are finalised but early notification gives plenty of time toensure that you can be here.